NAZARENE ISRAEL FAITH, TORAH TREASURE TROVE - ARAMAIC ENGLISH NEW TESTAMENT (AENT 5th Edition by Andrew G Roth) Since publishing the AENT 4th Edition we've received a wide range of excellent comments and questions regarding topics like: Messianic Hebraic Spirituality, prophecy, systematic theology, textual criticism, calendar issues, matters of Torah halakha, outreach, Aramaic primacy, elements of Scriptural counsel, etc. The AENT has greatly benefitted from the collective discernment in the Body of Believers.The contributions from hundreds of souls, for each successive edition, have added tremendous value to the work.This time around, the sheer quantity and quality of questions/suggestions led Andrew to provide clarifications in both the main text and footnotes, making a more readable and transparent translation from Aramaic into English. In addition to the many expanded notes, the AENT 5th Edition now has an additional 293 new footnotes! (Over 2.000 Footnotes in all).We had no idea what YHWH was bringing about this year for the AENT, but are VERY excited to share what He is doing. We've included many prophetic elements of Y'shua's Messiahship for the Jewish community, and many more Torah elements of Y'shua and the Apostle Paul's teachings for the Christian community. YHWH also led us to feature numerous elements of spirituality and empowerment according to the nature of Messiah Y'shua that is embedded in Hebraic and Aramaic consciousness. 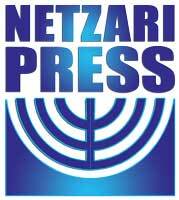 Many believers recognize Greco-Roman elements within the modern Messianic and Hebraic Roots Movement. These elements can be found in the theological, social and hierarchical leadership structures. The AENT 5th Edition offers new footnotes that further illuminate Hebraic, Kingdom of Heaven, Messianic concepts of spirituality concerning: prayer, honor, humility, servitude, and social dialogue principles to name just a few.This, in contrast to a Greco-Roman spirituality that is based more on intellectual knowledge, religious authority, etc.Hebrew and Aramaic play an extremely vital role in defining foundational spiritual elements of the Faith Once Delivered. In addition, this 5th Edition is being printed as a split run.We are binding the same text with a choice of either hard or soft cover, in order to bring printing costs down and pass those savings on to you. This has been an exciting year and we have many new things to share with you in the very near future! Andrew is now preparing new video content about the AENT 5th Edition.He will be posting it online as well as presenting it through God's Learning Channel. Andrew and I have a very deep gratitude to our Heavenly Father YHWH for allowing us to participate together in His work. We thank you for all your wonderful support and prayers! May Great Grace be with you,B'shem Y'shua Mashiyach.With love and prayers,Andrew Gabriel RothBaruch Ben Daniel www.aent.org/ BEGINS SHIPPING DEC 10, 2012.The Aramaic English New Testament (AENT) 5th Edition is a literal translation of the very oldest known Aramaic New Testament texts. This is a study Bible with over 2000 footnotes and 360 pages of appendixes to help the reader understand the poetry, idioms, terms and definitions in the language of Y'shua (Jesus) and his followers. AENT 5th. Edition Hardcover AENT 5th. Edition SoftcoverBEGINS SHIPPING DEC 10, 2012. 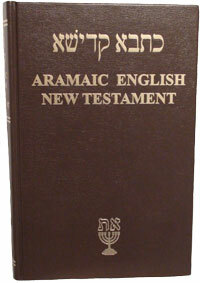 The Aramaic English New Testament (AENT) 5th Edition Softcover: same size as the hardcover but in durable softcover. A literal translation of the very oldest known Aramaic New Testament texts. This is a study Bible with over 2000 footnotes and 360 pages of appendixes to help the reader understand the poetry, idioms, terms and definitions in the language of Y'shua (Jesus) and his followers. _______________________________ Kindly Note: The Inclusion Of The Above Articles In This Website Does Not Indicate In Any Way That the Author Of The Articles Or Those Persons Mentioned In The Articles Agrees With or Endorses Any Other Article Found On This Website. Nor Does It Indicate In Any Way That Individual Persons Mentioned In This Website Are In Agreement With Or Connected To Each Other In Any Way. Since publishing the AENT 4th Edition we've received a wide range of excellent comments and questions regarding topics like: Messianic Hebraic Spirituality, prophecy, systematic theology, textual criticism, calendar issues, matters of Torah halakha, outreach, Aramaic primacy, elements of Scriptural counsel, etc. The AENT has greatly benefitted from the collective discernment in the Body of Believers.The contributions from hundreds of souls, for each successive edition, have added tremendous value to the work.This time around, the sheer quantity and quality of questions/suggestions led Andrew to provide clarifications in both the main text and footnotes, making a more readable and transparent translation from Aramaic into English. In addition to the many expanded notes, the AENT 5th Edition now has an additional 293 new footnotes! (Over 2.000 Footnotes in all). We had no idea what YHWH was bringing about this year for the AENT, but are VERY excited to share what He is doing. We've included many prophetic elements of Y'shua's Messiahship for the Jewish community, and many more Torah elements of Y'shua and the Apostle Paul's teachings for the Christian community. YHWH also led us to feature numerous elements of spirituality and empowerment according to the nature of Messiah Y'shua that is embedded in Hebraic and Aramaic consciousness. Many believers recognize Greco-Roman elements within the modern Messianic and Hebraic Roots Movement. These elements can be found in the theological, social and hierarchical leadership structures. The AENT 5th Edition offers new footnotes that further illuminate Hebraic, Kingdom of Heaven, Messianic concepts of spirituality concerning: prayer, honor, humility, servitude, and social dialogue principles to name just a few. This, in contrast to a Greco-Roman spirituality that is based more on intellectual knowledge, religious authority, etc. Hebrew and Aramaic play an extremely vital role in defining foundational spiritual elements of the Faith Once Delivered. In addition, this 5th Edition is being printed as a split run.We are binding the same text with a choice of either hard or soft cover, in order to bring printing costs down and pass those savings on to you. This has been an exciting year and we have many new things to share with you in the very near future! Andrew is now preparing new video content about the AENT 5th Edition. He will be posting it online as well as presenting it through God's Learning Channel. Andrew and I have a very deep gratitude to our Heavenly Father YHWH for allowing us to participate together in His work. We thank you for all your wonderful support and prayers! BEGINS SHIPPING DEC 10, 2012. The Aramaic English New Testament (AENT) 5th Edition is a literal translation of the very oldest known Aramaic New Testament texts. This is a study Bible with over 2000 footnotes and 360 pages of appendixes to help the reader understand the poetry, idioms, terms and definitions in the language of Y'shua (Jesus) and his followers. BEGINS SHIPPING DEC 10, 2012. 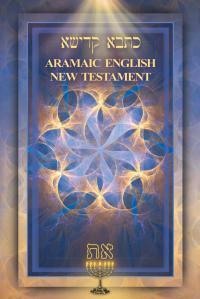 The Aramaic English New Testament (AENT) 5th Edition Softcover: same size as the hardcover but in durable softcover. A literal translation of the very oldest known Aramaic New Testament texts. This is a study Bible with over 2000 footnotes and 360 pages of appendixes to help the reader understand the poetry, idioms, terms and definitions in the language of Y'shua (Jesus) and his followers. The Inclusion Of The Above Articles In This Website Does Not Indicate In Any Way That the Author Of The Articles Or Those Persons Mentioned In The Articles Agrees With or Endorses Any Other Article Found On This Website. Nor Does It Indicate In Any Way That Individual Persons Mentioned In This Website Are In Agreement With Or Connected To Each Other In Any Way.